R-Drive Image es capaz de crear una copia exacta, bit por bit, de cualquier unidad de disco físico o lógico e incluso de particiones. Esta copia exacta, o imagen de disco, se puede almacenar en otro disco o unidad removible, como por ejemplo un CD o un DVD, y restaurar cuando más la necesites. 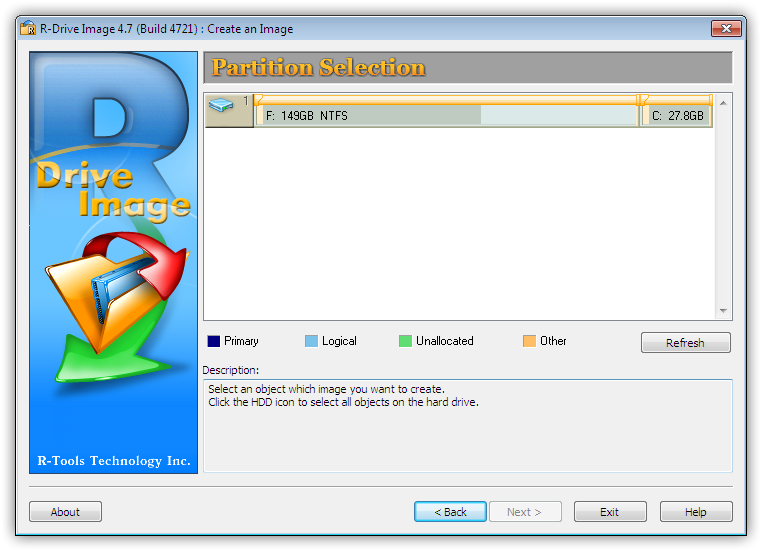 R-Drive Image restores the images on the original disks, on any other partitions or even on a hard drive's free space on the fly. To restore system and other locked partitions R-Drive Image is switched to the pseudo-graphic mode directly from Windows or bootable version created by the utility is launched from CD disc or diskettes. R-Drive Image is one of the best backup and disaster recovery solutions to prevent losing your data after a fatal system failure.